Apowersoft Phone Manager is an efficient app that assists you to synchronize your mobile phone with computer. 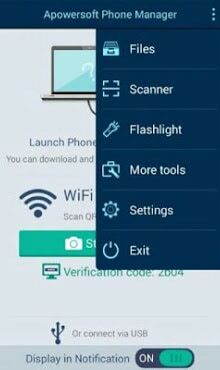 The app empowers you to enable USB debugging in just one tap so that you are free from the manual steps. When connected, you can manage, transfer, restore, backup, copy and check your mobile data including messages, contacts, apps, ebooks, images, music, videos and more on your PC. This comprehensive manager works well with all mobile devices running on Android. The fresh UI design will help you easily connect your Android phone to your PC. Turn on the LED light on your phone in one click. Manage pictures, music, videos, documents, SD card, APK files and large files on your Android. Batch uninstall apps to free your phone memory. 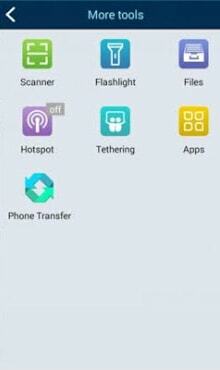 Activate hotspot to share the mobile Internet.